Bringing fruit infused water in mason jars to work is a great way to get your daily water intake and it's much more tasty! I let the fruits sit for a morning before starting to drink it... yum yum! 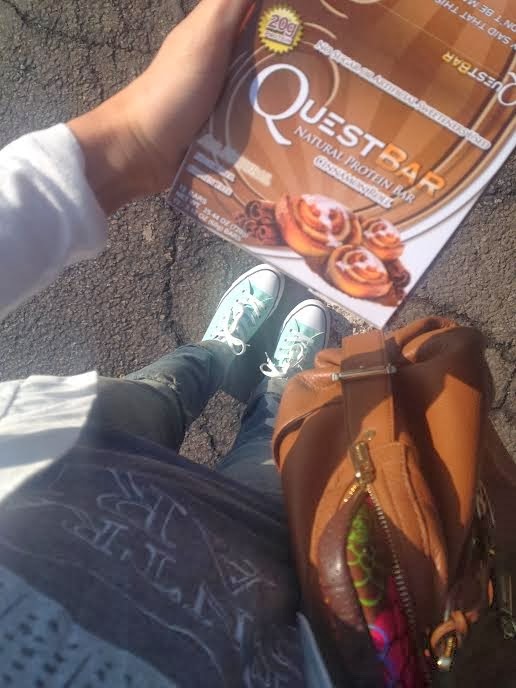 I shared this deal on my instagram, but retailmenot.com has a $10 off in-store coupon right now for GNC where you can get a box of Quest bars for only $16. Seriously a steal! If you've been wanting to give these bars a try, now is your chance to get a really good deal on them. you can link up with the girls here. OMG - I die. That sweatshirt dress is too cute! 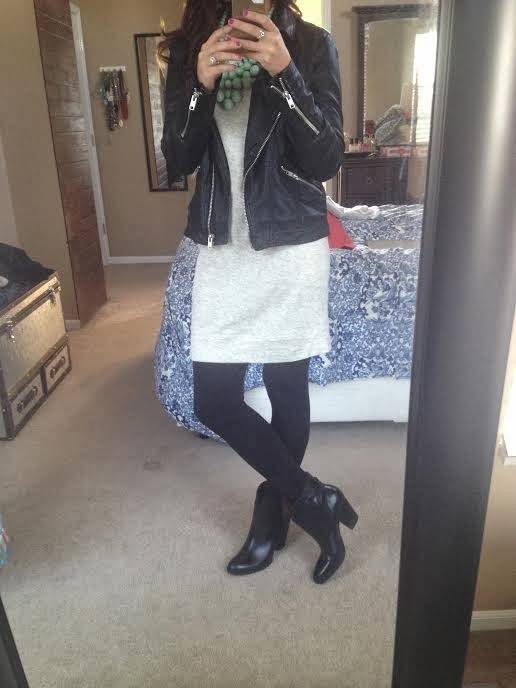 And the leather jacket with tights - perfect winter outfit :) You are making my shopping list grow! I had all but given up on finding beautiful work blouses ... and then you commented to look at Express via IG ... and then this post! It was meant to be. Thank you lady! I recently discovered your blog and it is so fantastic! Definitely look forward to following along :) I do the same thing when I find a good shirt, I buy it in 3-4 different colors. OBSESSED ;) great idea for the fruit infused water in mason jars! I drink plenty of water at work but nothing quite as tasty. 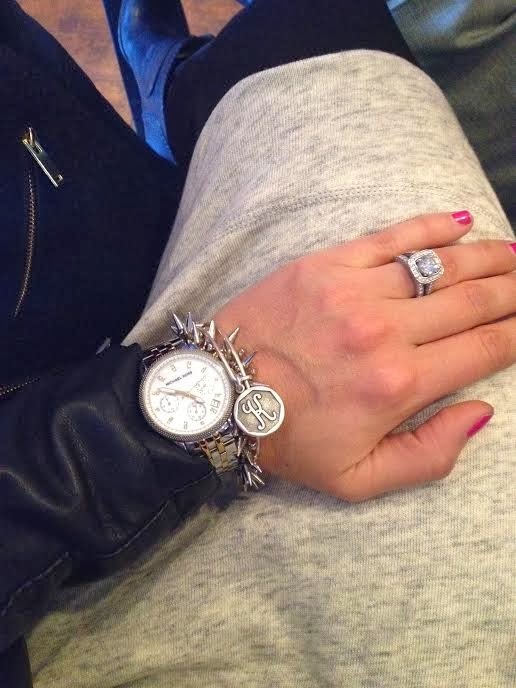 Love both of the looks!! Express is always such a hit or miss...but that one looks great!! Hope you have a great weekend! Chips and salsa with a margaritas just taste better outside! Love that top outfit with the coral blazer, so chic! I live in Dallas so I think it's hilarious when people up north think that 50 is nice "spring" weather because I am still bundled up when it's 50 out! haha Have a fun weekend! Sweatshirt dress sounds up my ally right now. I get so bored of wearing pants to work and since I have a little one growing I need clothes that are comfortable! I will have to check those out! cookie dough quests are my fav!! Happy Weekend! 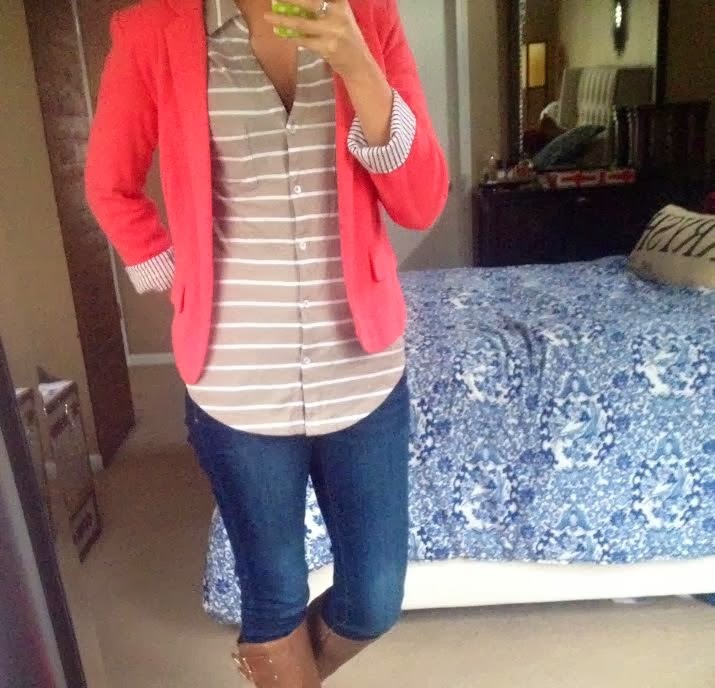 I love this shirt with the pink blazer!! It is so spring! And put fruits in water is a good idea, I will try! 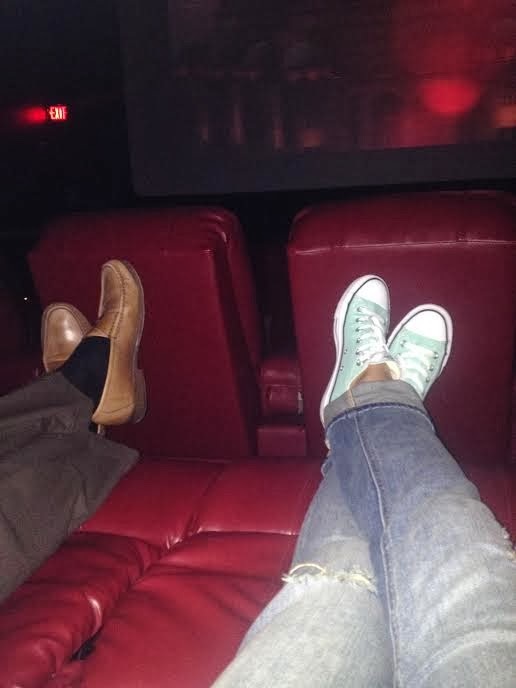 I didn't even make it past #1 without detouring slightly over to express.com... :) You have great style! 1. 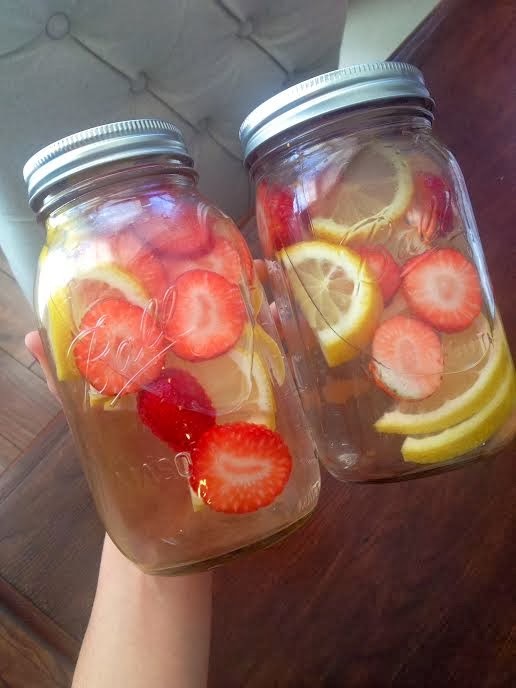 I have enjoyed lemon and strawberry water this past week and LOVED IT. 2. I need your new bed...like yesterday. 3. I recently tried on that same JCrew dress and might need to go back to get it!